1In a medium stockpot, bring 4 to 6 quarts of water plus 1 tablespoon of the salt to a boil. 2Meanwhile, in a large nonstick skillet, heat the Tantillo California Extra Virgin Olive Oil for 30 seconds over medium heat. Add the garlic and onions and cook, stirring, until the onions are translucent, about 3 minutes. 3Add the basil and tomato paste and cook for 2 to 3 minutes. 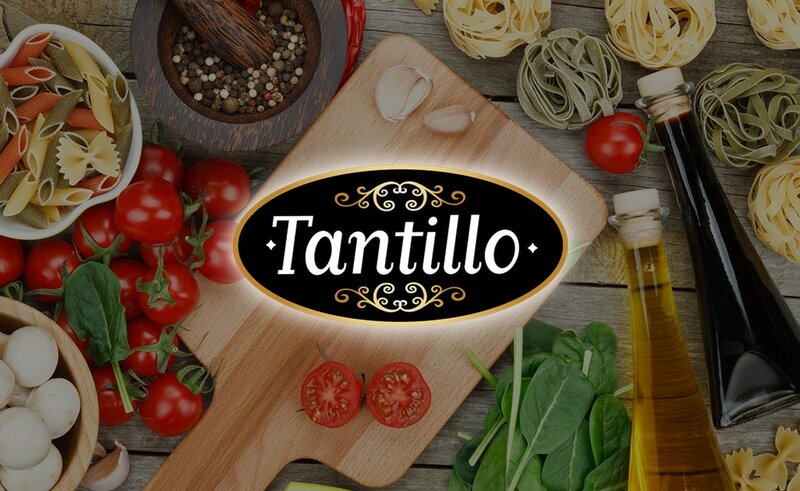 Drain half of the liquid out of the Tantillo California Peeled Tomatoes and with you hands, crush the Tantillo California Peeled Tomatoes. 4Add the crushed tomatoes and remaining liquid in the can to the skillet and bring to a simmer. Reduce the heat and simmer for 5 to 7 minutes. Season with the remaining 1 teaspoon salt and the red pepper flakes. 5 In the pot of boiling water, cook the pasta 3 to 4 minutes until it loses it rigidness but is still raw in the center. Drain the undercooked pasta and add it to the tomato sauce. 6Gently stir the pasta and sauce over medium heat for 4 to 6 minutes, or until fully cooked. Buon Appetito!